Multiple scientists have published papers indicating that the moon is an artificial hollow construct, home to an extraterrestrial race. One example is the testimony of Colonel Ross Dedrickson, who was responsible for maintaining the inventory of the nuclear weapon stockpile for the United States. Collective-evolution.com reports: Shortly before his passing, Dedrickson told the world that the US tried to detonate atomic weapons on the Moon for scientific purposes, measurements, and whatnot and that this project was halted by extraterrestrials, who would not allow us to detonate any nuclear weapons in space. These were some interesting comments because he is one of the hundreds of high ranking military people who have alluded to such things, and we also have a declassified report by the Air Force Nuclear Weapons Center from June 1959 that shows how seriously they were considering the plan, the report is called Project A119. We know for a fact that the US wanted to investigate the capability of weapons in space, and if they did, we also know that we would never be told, similar to the testing that goes on here on planet Earth. Multiple whistleblowers have also spoken of strange structures on the Moon, and it’s become so obvious that some academicians are trying to do what they can to bring attention to it. For example, a recently published paper in the Journal of Space Exploration about certain features on the far side of the Moon that appear in the crater Paracelsus C. Titled “Image Analysis of Unusual Structures on the Far Side of the Moon in the Crater Paracelsus C,” argues that these features might be artificial in origin, meaning someone other than a human being built them and put them there. The list is long, and the idea that somebody else is on the moon is nothing new, even the Deputy Manager for the Clementine Mission to the moon in 1995 said it was really a photo reconnaissance mission to check out structures on the far side of the Moon that wasn’t put there by humans. Solomon is the director of the Lamont-Doherty Earth Observatory of Columbia University. He is also principal investigator on the NASA MESSENGER mission to Mercury. Here is a paper by Solomon on the topic published in 2014 discussing how, after decades of data, they still have no idea about the moons inner core and what it’s comprised of. There are multiple theories out there that’ve developed from this supposed uncertainty, including a fluid core. Conventional wisdom tells us that yes, the Moon may have originated elsewhere and at some point came to orbit our planet. 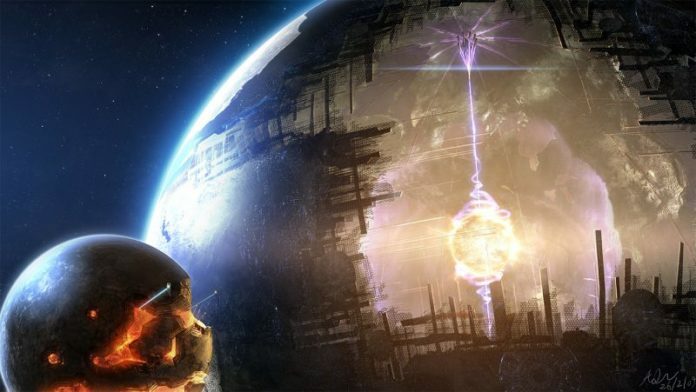 It tells us that it was formed from debris after a space object smashed into Earth, while another theory states that Earth captured the Moon via its gravitational pull when it was wandering through the solar system. It’s too big to have been captured by the Earth. The chances of such a capture having been effected and the Moon then having taken up nearly circular orbit around our Earth are too small to make such an eventuality credible. We cannot help but come to the conclusion that the Moon, by rights, ought not to be there. The fact that it is, is one of those strokes of luck almost too good to accept. Think about it… the Moon is in a nearly perfect circle, when it comes to its origin, all the while being synchronized with its period of revolution, so one side always faces the Earth. Many within this field are really into ancient Greek and ancient Sumerian lore. In the late 1960’s, a senior scientist from the Planetary Science Institute, William Kenneth Harmann, stated he believes that the Moon results from a collision between Earth and another body at least the size of Mars. This became known as the Big Whack theory, and it correlated to the story told in ancient Sumerian tablets. This is very interesting because recently scientists have confirmed that Mars used to be a very watery world, an Earth-like planet. There is even large amounts of evidence for ancient life on Mars before what appears to be a dramatic climate shift. Scientists hypothesize that the climate shift was a result of a large collision, the larger chunk of Tiamat became planet Earth.